One of the most spectacular bulbous plants we've found! 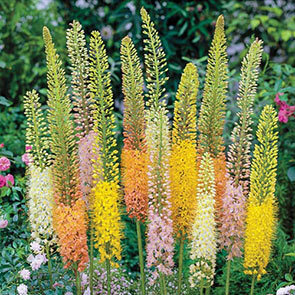 Foxtail Lilies send up tall flowers that are stunning in the late spring and early summer garden. 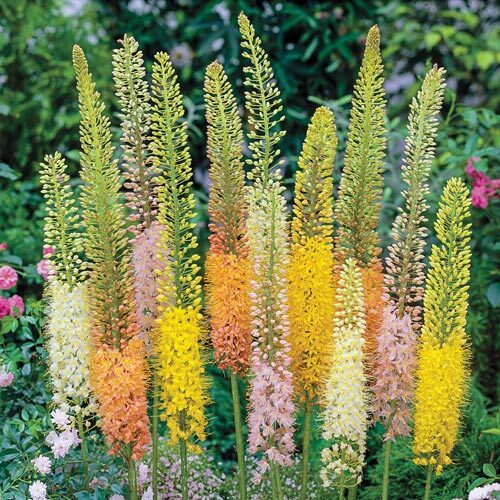 Our Foxtail Lily Mix includes a mix of orange, yellow, pink and white hues. 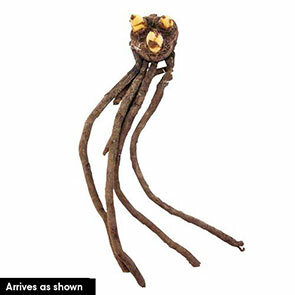 The small, bell-shaped flowers form large 12-18" flower spikes on the top third of the flower stems, creating a stunning display in back borders. For a dramatic look, consider planting this mix against a dark background. These sun-loving plants are easy to grow and attract butterflies and pollinators.